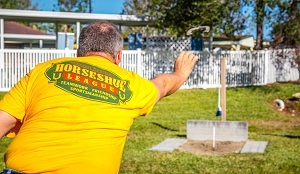 If you’ve been living and working in South Florida, you’ve no doubt become accustomed to pursuing your favorite pastimes without worrying too much about the weather. 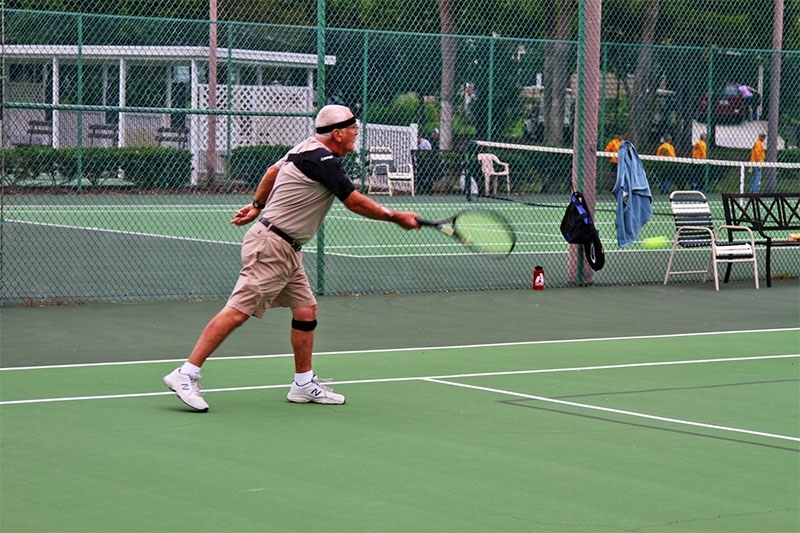 So it’s understandable that you might want to join the many retirees who seek an active retirement lifestyle right here in the Sunshine State. 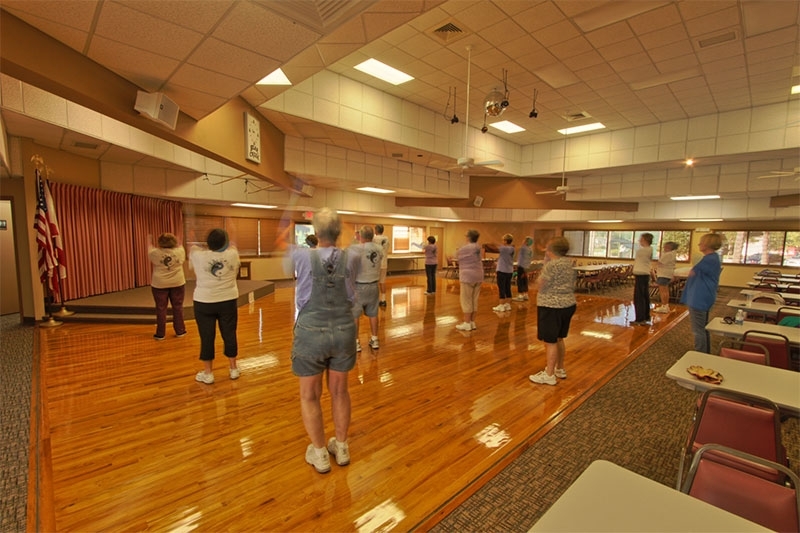 However, just like them, you may wonder whether there are affordable retirement communities in Florida where you can enjoy all the activities you’ve been looking forward to without overtaxing your retirement savings. Fortunately, the answer is yes – even if you’re looking for a resort-style retirement community where you can hop in your car and reach the beach within minutes. 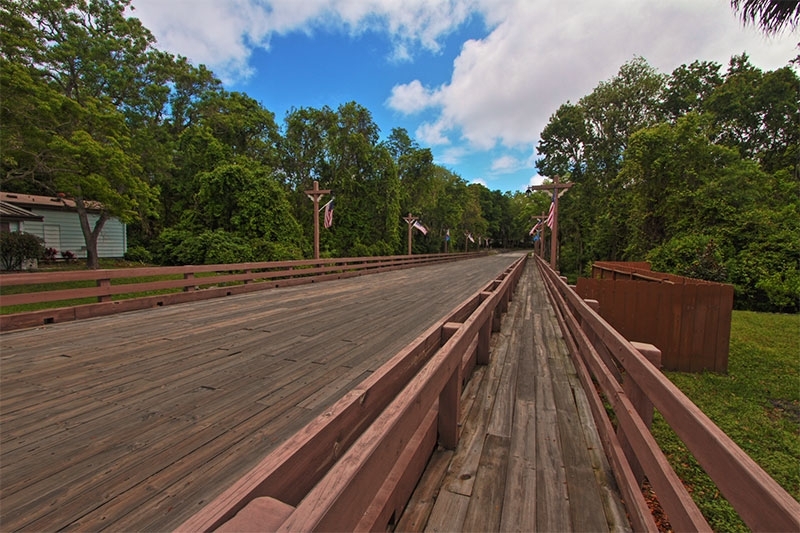 It’s called Bear Creek, and it’s located in Ormond Beach, FL. 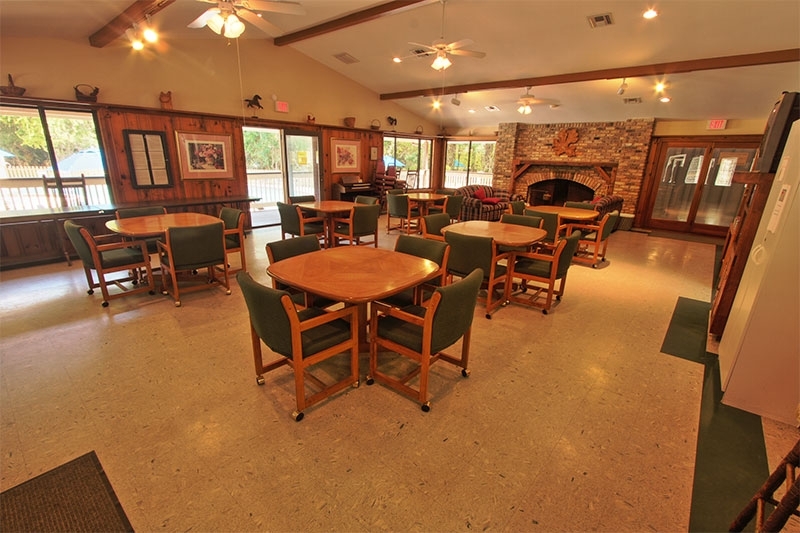 Plus, right next door, there’s a golf course and restaurant located on the scenic Tomoka River, where many of our residents enjoy spending a few hours or an entire day in the company of neighbors from Bear Creek. 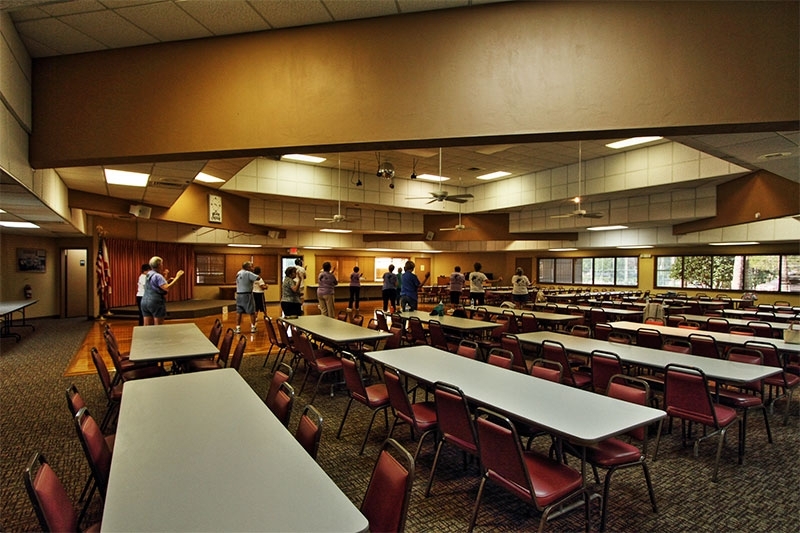 Our residents also organize group fishing trips and sightseeing excursions both near and far, and they welcome participants in the Bear Creek Bowling League, Little Theatre Troupe, and singing group. There’s always something to do when you’re not combing the beach! 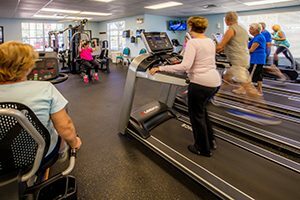 The best way to find out how Bear Creek offers an affordable active lifestyle that other retirement communities find hard to match, you’ll want to make the short drive from South Florida to Ormond Beach and visit us in person. Contact our Lifestyle Team today, and we’ll be happy to schedule a community tour for you when you’re ready. 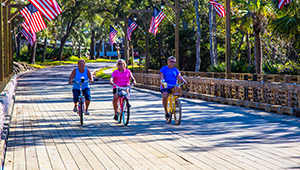 Daytona Beach is one of the most exciting and best-known beach towns in Florida, but many people don’t realize it’s also one of the best places to retire to. 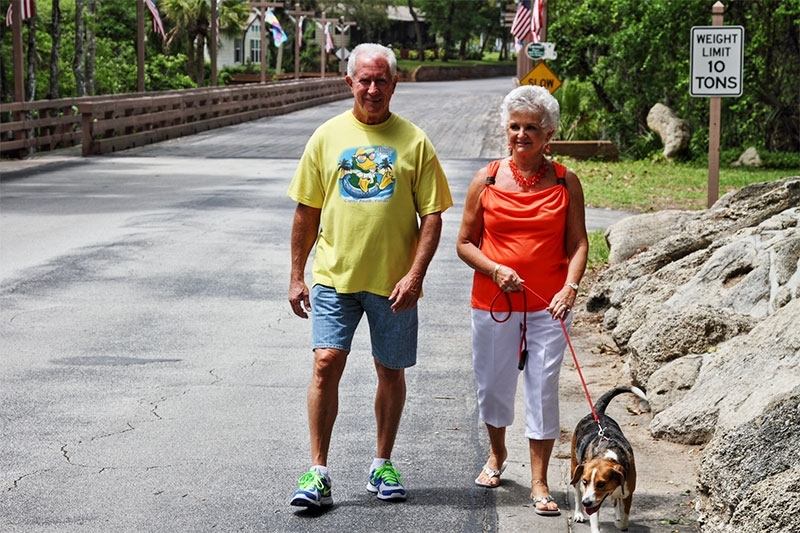 In fact, this Central Florida town on the Atlantic Ocean has regularly made it onto the Top 10 lists of best places to retire compiled by U.S. News & World Report and other publications. 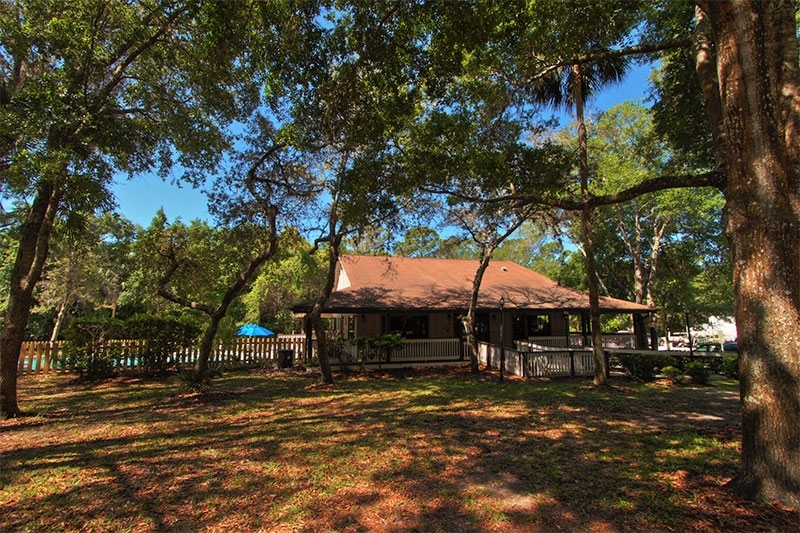 If you’re in Texas and scouting for a retirement community that offers daily access to long walks on beautiful beaches and practically endless opportunities for golfing, boating, fishing, and sightseeing, you’ll definitely want to check out Bear Creek, a 55+ community located just outside Daytona Beach. 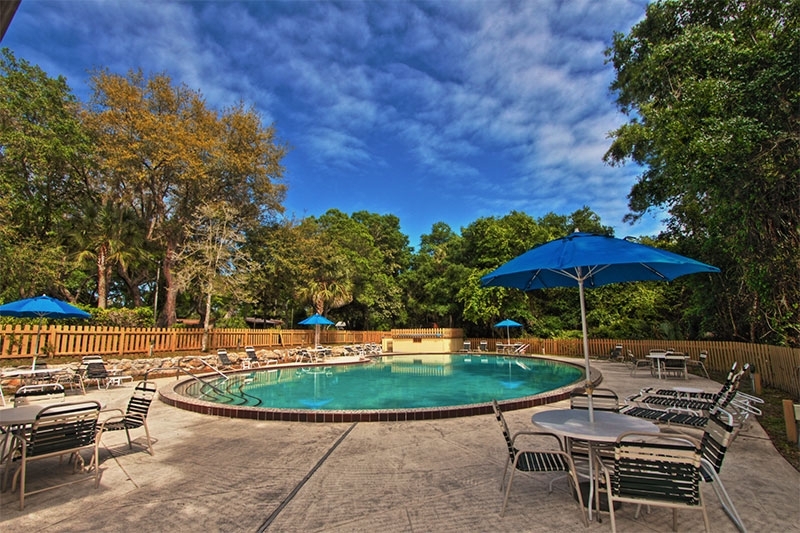 Not only that, but our residents are always organizing group trips to explore other parts of Florida, as well as fun out-of-state destinations. So, how do we make all this affordable? 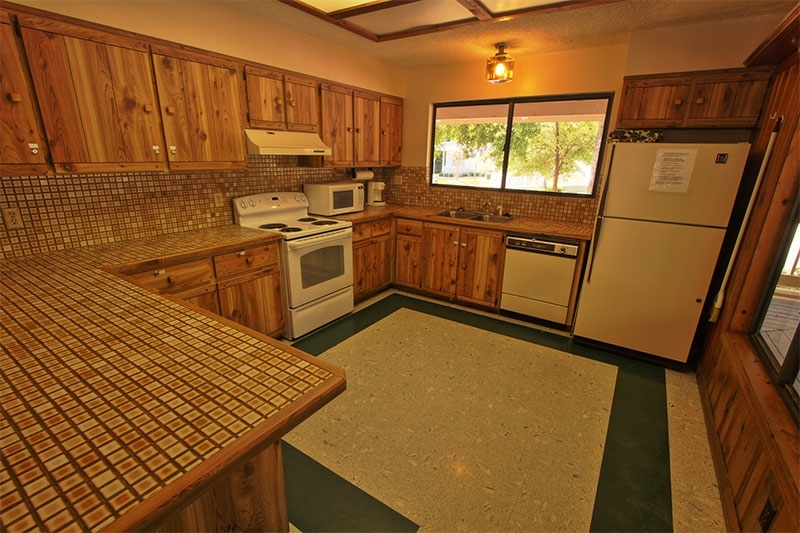 We offer attractive manufactured homes for sale – many with luxury features like vaulted ceilings and island kitchens – that typically cost far less than you’d spend for similar housing in a site-built community. 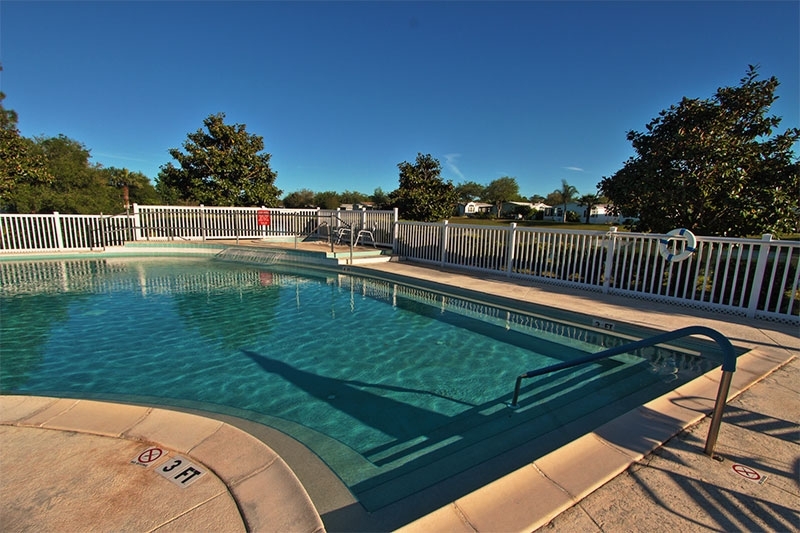 Then, when you pay a low monthly home site lease fee, you’ll be able to enjoy all the resort-style amenities, as well as lawn mowing services. Is the Daytona Beach area the best beach town to retire to for you? Why not find out by scheduling a visit to Bear Creek? 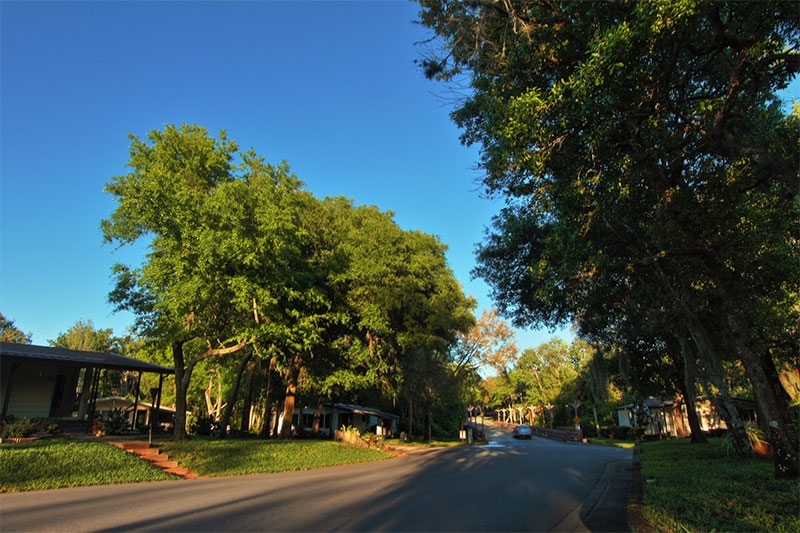 Contact us today to let us know when you’ll be traveling to this area from Texas, and we’ll be glad to schedule a community tour for you. 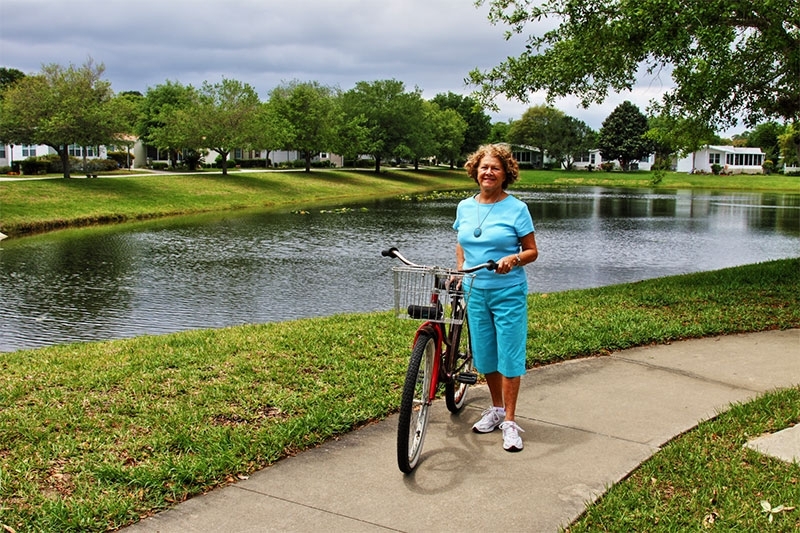 If you’re an Ohio resident who’s nearing retirement age and planning to bug out to the snow-free paradise that awaits you in Florida, you’ll be following a grand tradition of people who have retired to the Sunshine State from somewhere else. And almost every one of them probably faced the same important decisions about relocation that you do: What kind of lifestyle do you hope to enjoy? 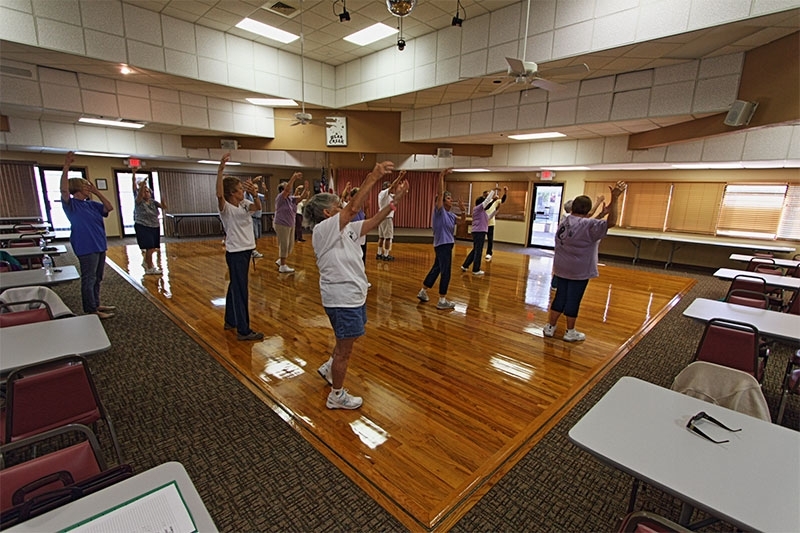 Which of the many active adult communities would best fulfill your goals? Where, exactly, do you want to live? 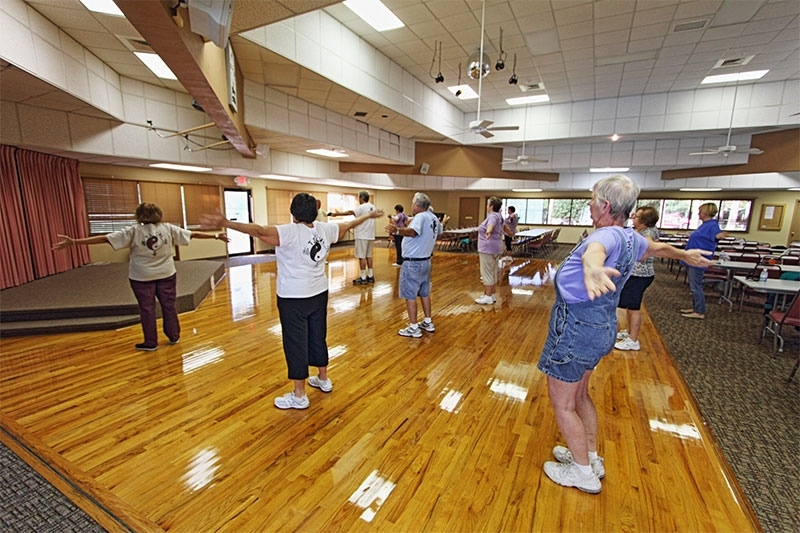 Do you want the convenient active adult lifestyle provided by communities for ages 55 and up? 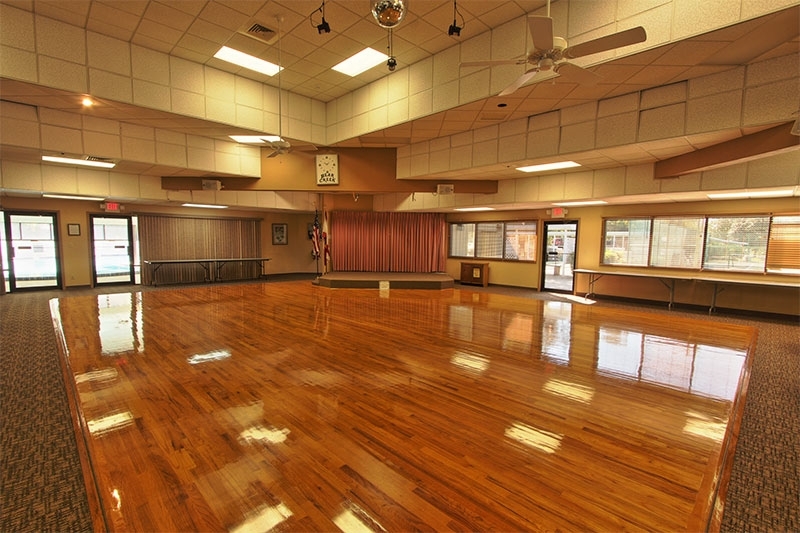 Would you like to relocate to a 55+ community where you can spend time with others who hail from Ohio? 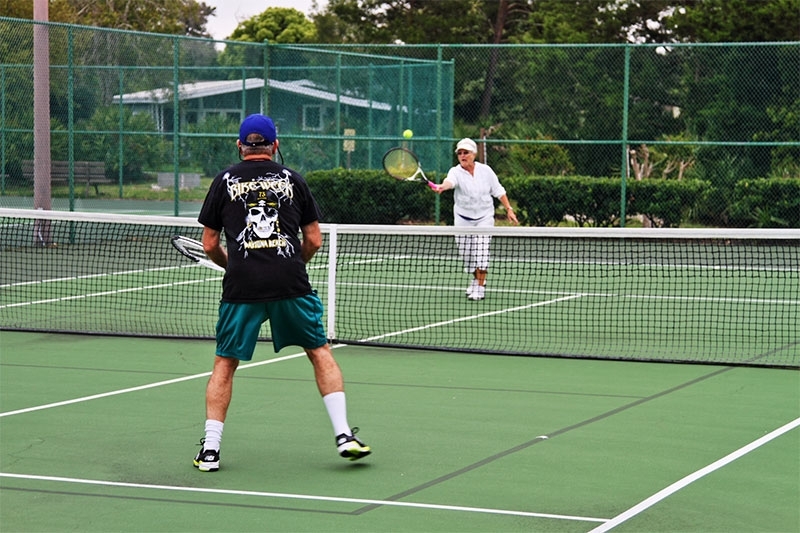 Are you concerned about whether you can afford to live in any of Florida’s active adult communities without over-stretching your retirement savings? 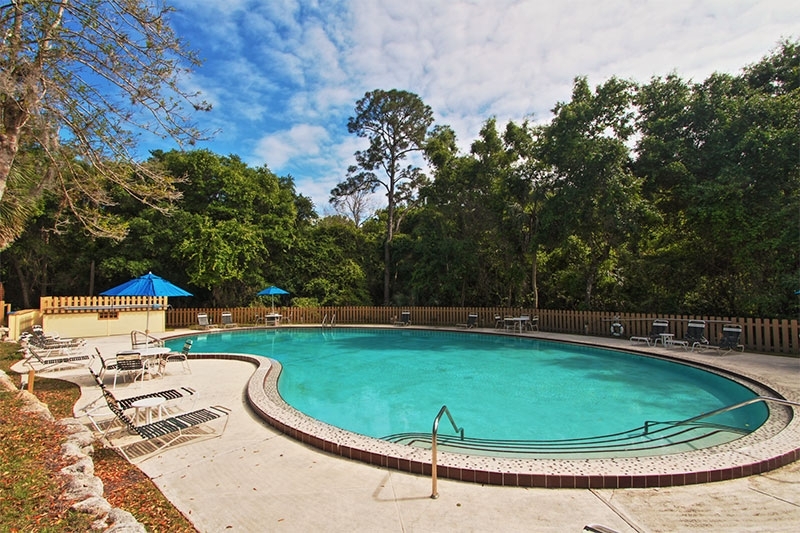 Bear Creek in Ormond Beach is one of Florida’s premier 55+ active adult communities featuring beautiful manufactured homes and an exceptionally generous assortment of resort-style amenities, including three clubhouses and swimming pools. When you buy a home at Bear Creek, you’ll likely pay much less than you would for a site-built home of similar quality. 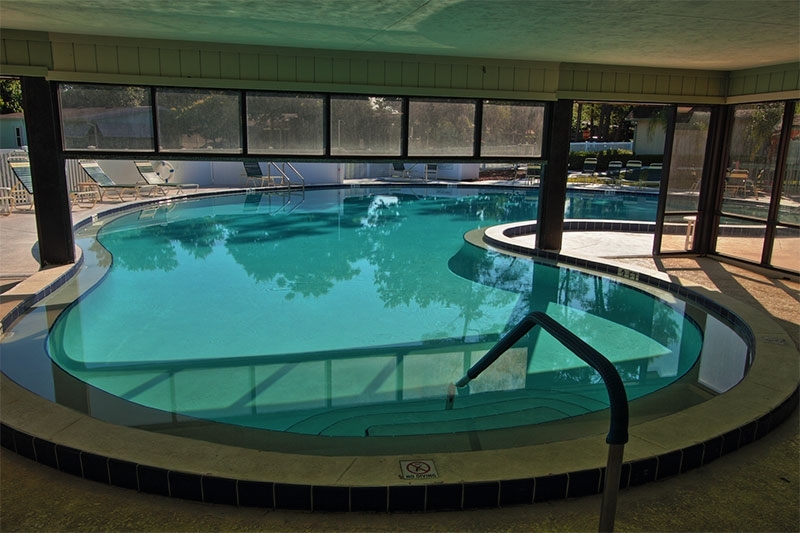 Then, when you make low monthly home site lease payments, you’ll enjoy daily access to the many resort-style amenities we provide. 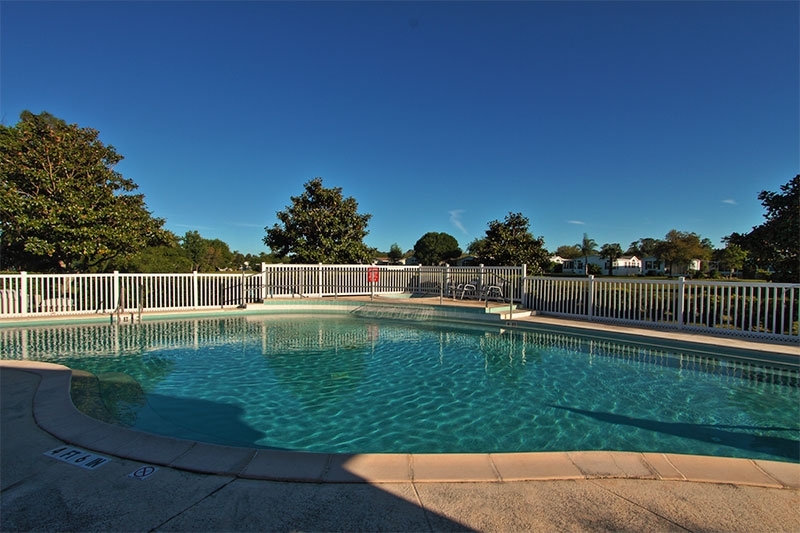 What’s more, a five-minute drive will take you to some of the most acclaimed beaches in the world, and we’re only an hour away from equally well-known theme parks and other attractions. 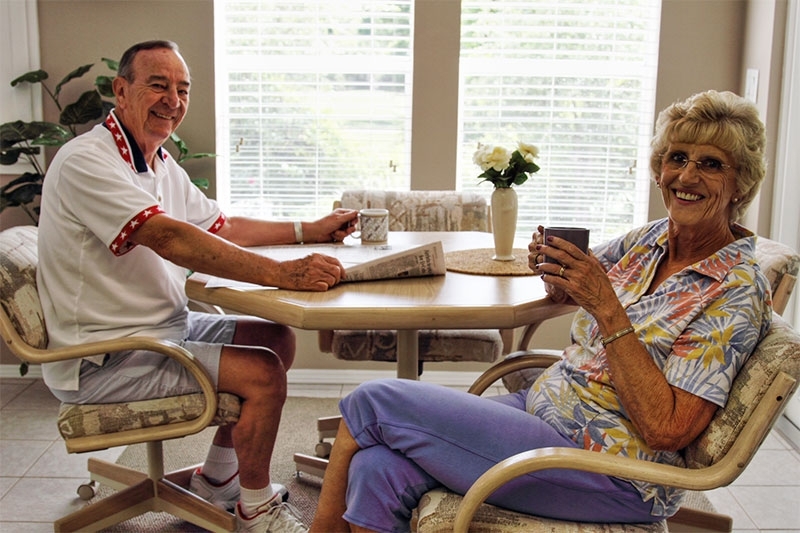 We encourage you to discover what many other former Ohio residents already have: Bear Creek is second to none among active adult communities, and it’s also an affordable option for many people on a retirement budget. 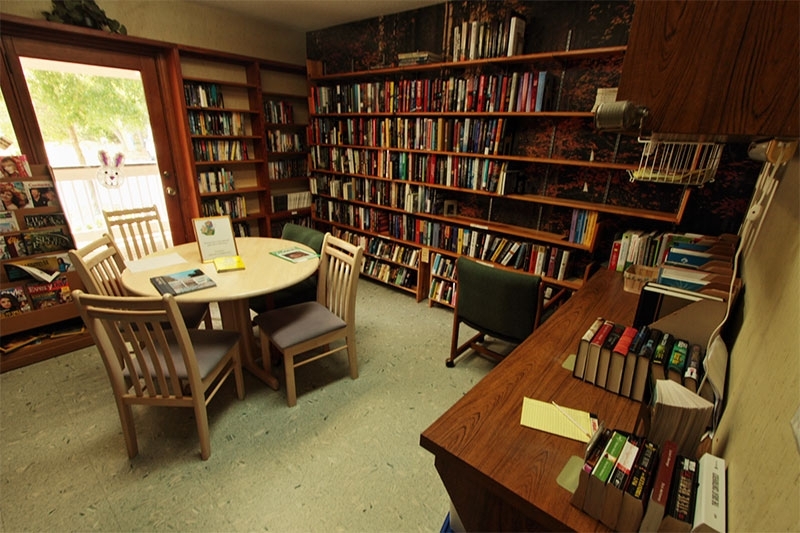 Contact us today to schedule a tour. 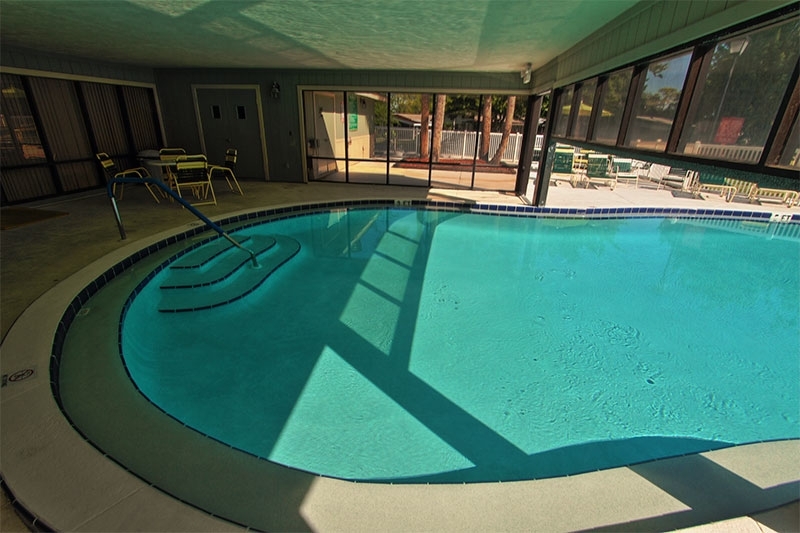 In the meantime, click here to see our inventory of homes for sale. 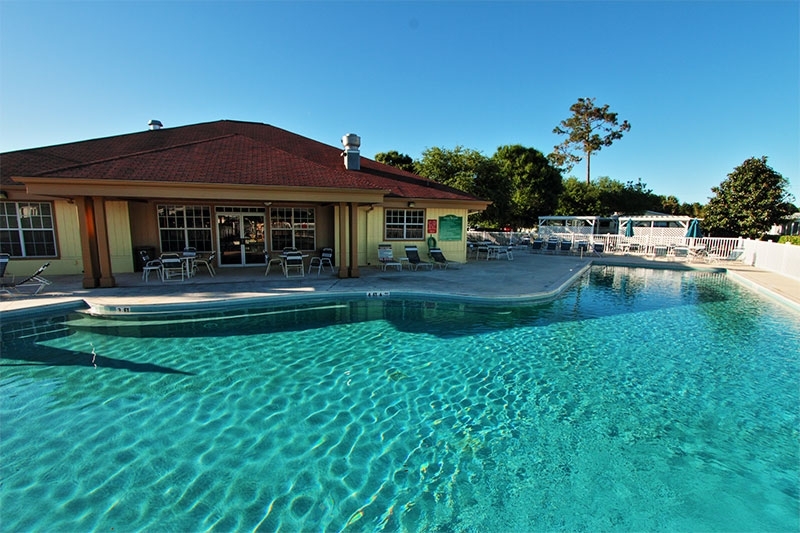 Illinois has seen its fair share of bone-chilling winter weather and troublesome snowfalls, so if you hail from the Prairie State and you’re thinking of retiring to one of the 55+ communities in Florida, that’s perfectly understandable. 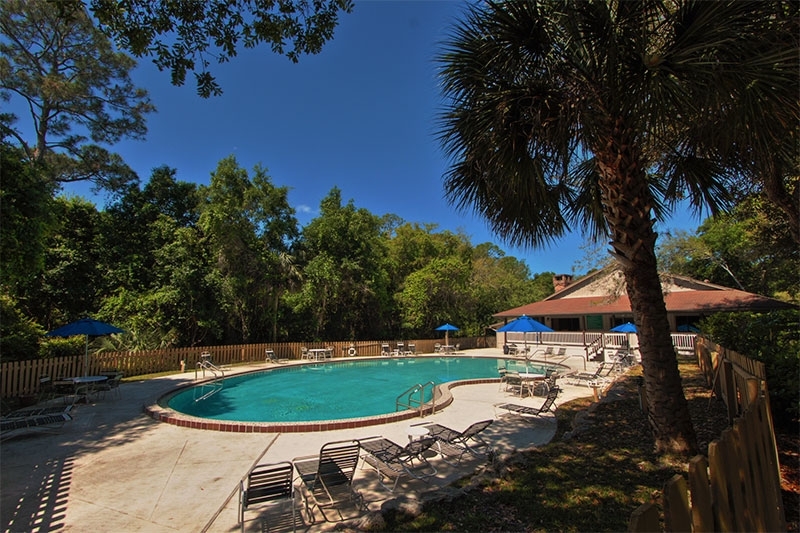 However, if you’ve been perusing the homes for sale in Florida’s active adult communities and wondering whether you can afford to relocate, make sure you don’t overlook Bear Creek. 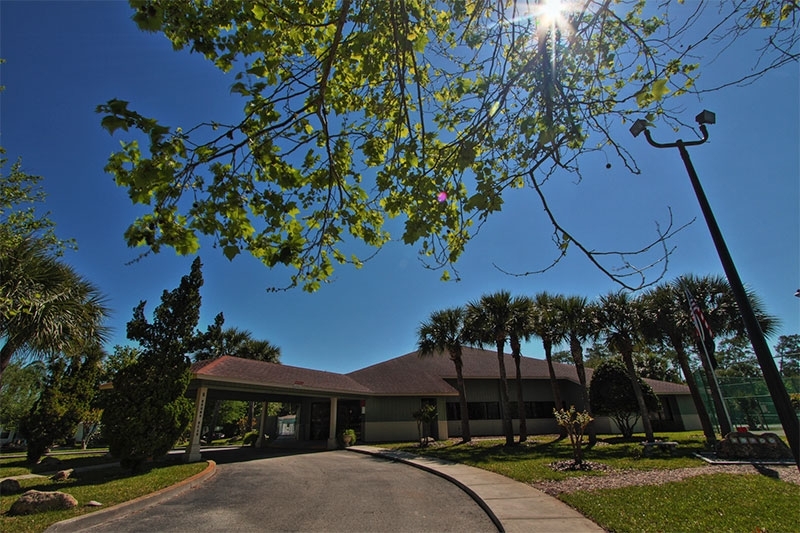 Not only is there plenty to do inside our community, but many of the Sunshine State’s best-known attractions are within an hour’s drive or less. We’re also conveniently located near first-rate medical facilities, shopping, houses of worship, and many fine restaurants. 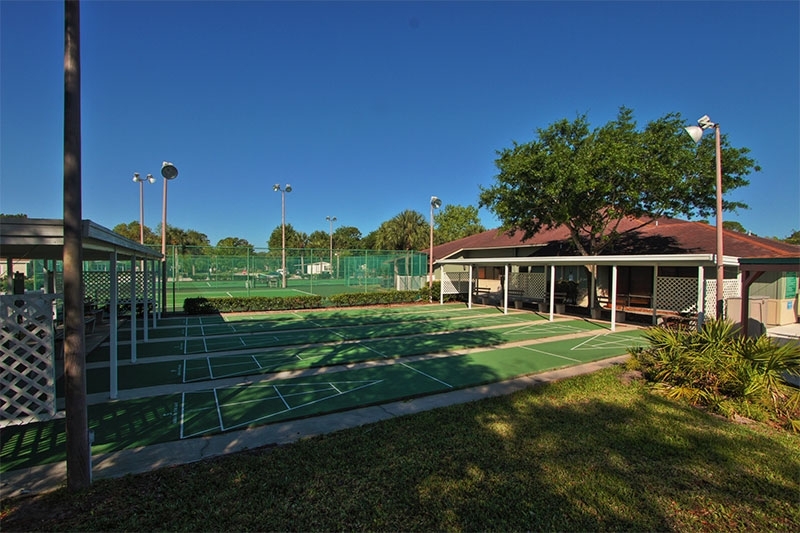 If you’re ready to learn more about the beautiful homes for sale in one of the best-kept secrets among 55+ communities in Florida, click here. 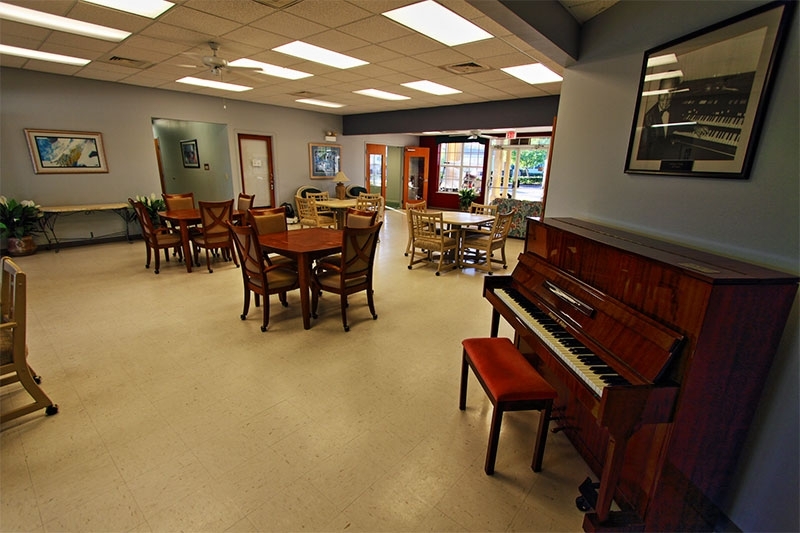 We also encourage you to book a tour of Bear Creek so you can see everything we have to offer before you buy. 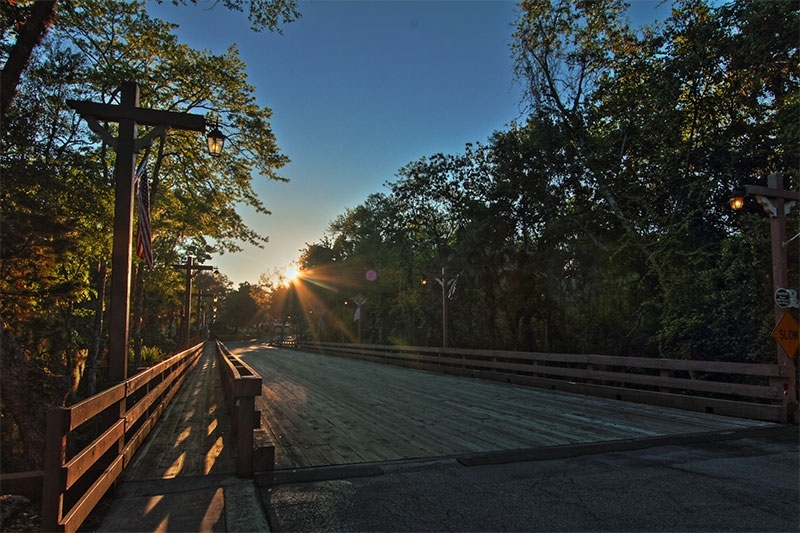 Contact us today to let us know when you’ll be visiting this area from Illinois. 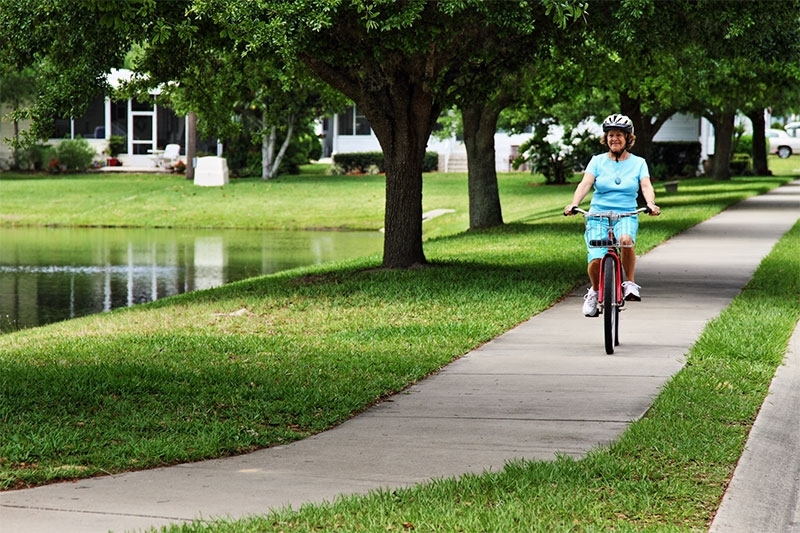 There are many reasons why Bear Creek is one of the best retirement communities in Florida for people from Massachusetts, but affordability is among the most important. 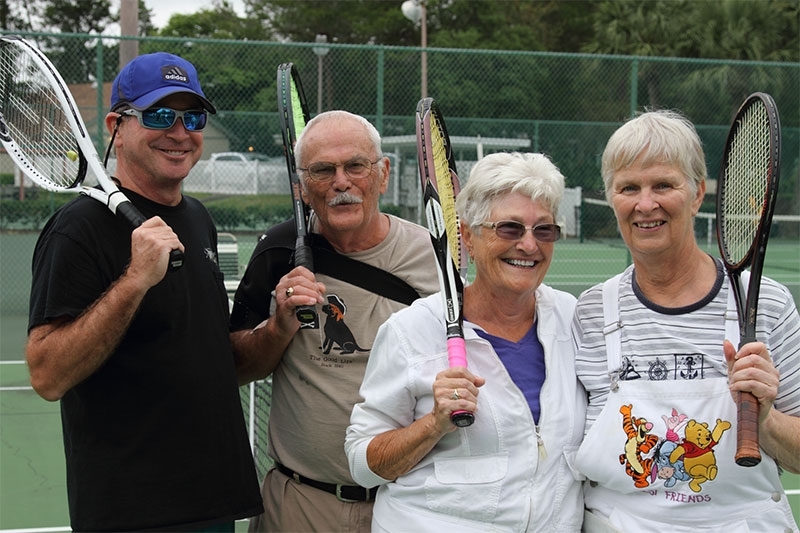 A lot of older adults these days worry whether their savings will stretch far enough to cover an active retirement in a beautiful coastal area where sun and fun are part of the everyday lifestyle. 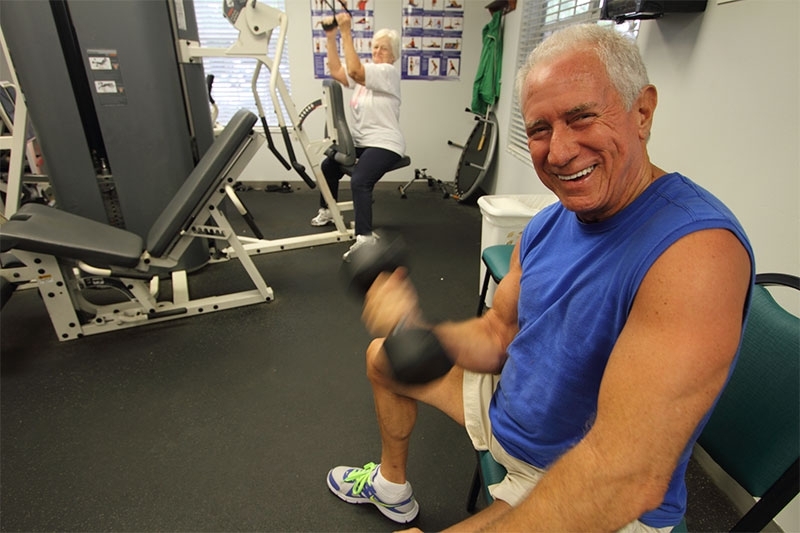 At Bear Creek, we’re proud to say that we make that kind of active Florida lifestyle possible for many people 55 and older from Massachusetts and across the nation. 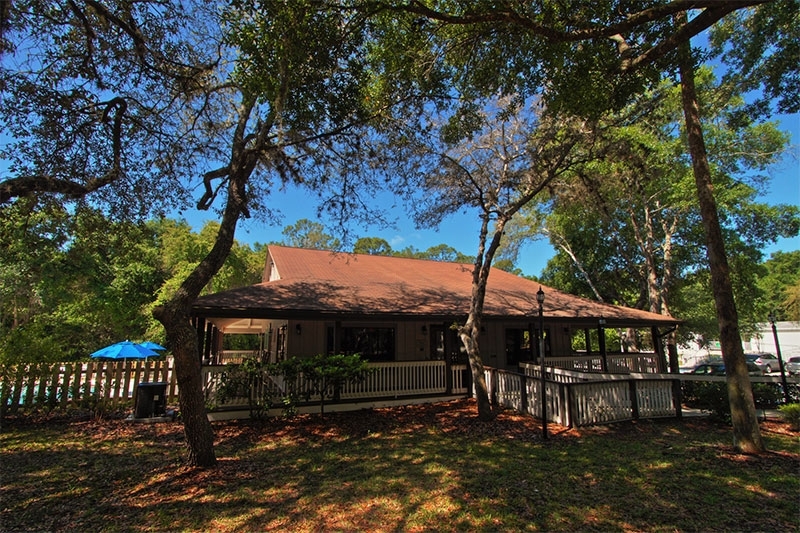 We do it by providing top-caliber manufactured homes for sale – many with luxury features like vaulted ceilings and island kitchens – in an attractively landscaped neighborhood setting in Ormond Beach, FL, only minutes away from the Atlantic Ocean. 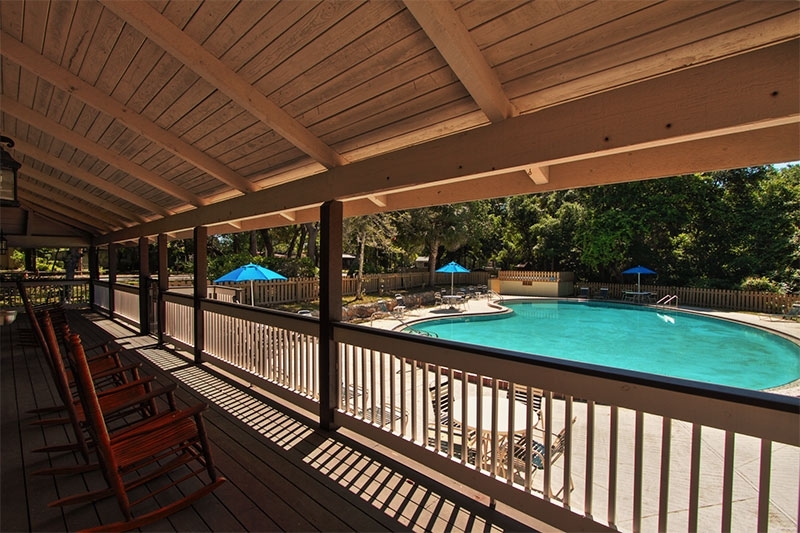 Then, for a low monthly home site lease payment, our residents can enjoy not only convenient access to some of the world’s most acclaimed beaches but also the use of numerous resort-style amenities – the same type of features you’d find in an upscale retirement community. However, because manufactured homes typically cost less than their site-built counterparts, our residents generally pay far less for housing. 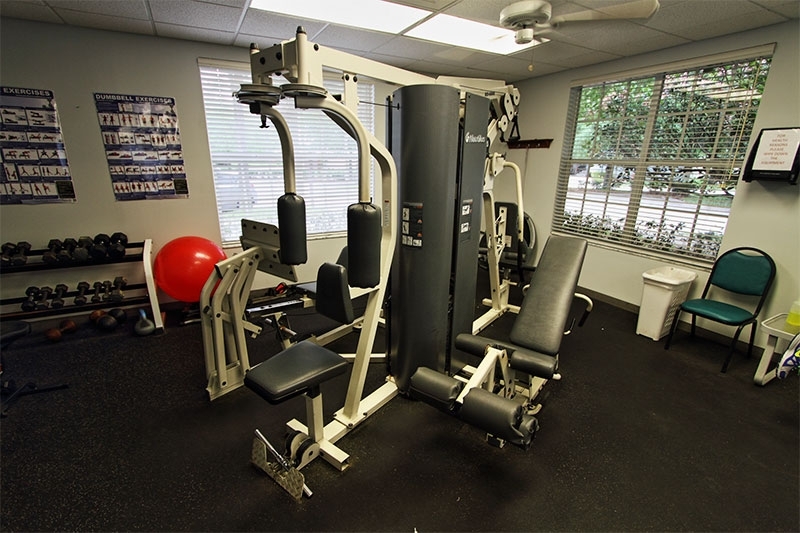 This allows them to devote more resources to the active Florida lifestyle they’ve been dreaming of. 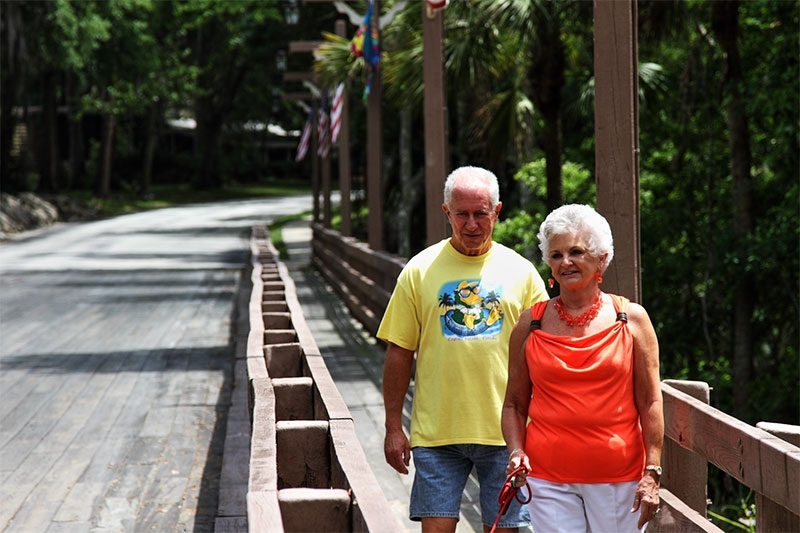 What Else Puts Bear Creek among the Best Retirement Communities in Florida? If all this sounds too good to be true, then we invite you to see for yourself. 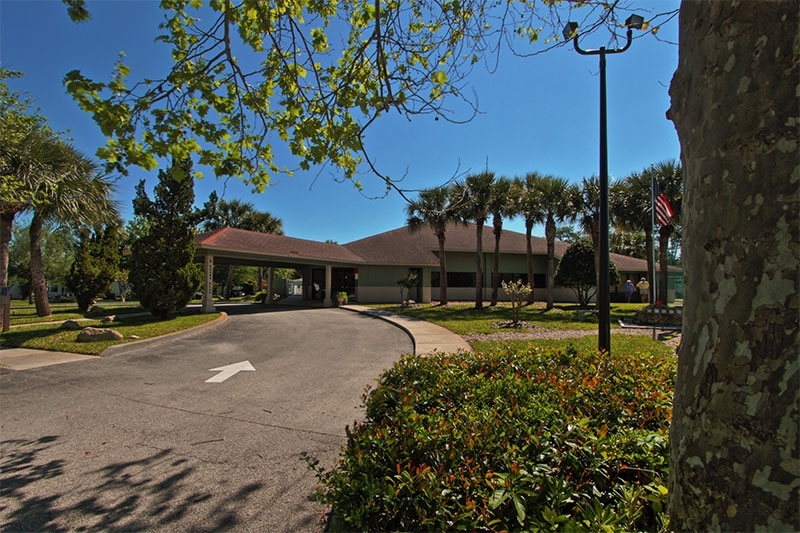 Contact us today to book a community tour the next time you’re visiting the Central Florida area from Massachusetts, and we’ll be happy to show you all the things that make Bear Creek one of the best retirement communities in Florida. In the meantime, check out our testimonials for glowing reviews from some of our residents who hail from the Bay State! 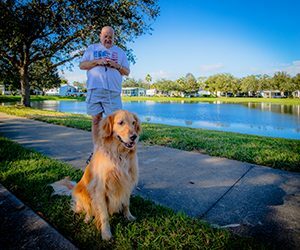 Like many people living in the Snowbelt, a lot of Pennsylvania residents dream of retiring to Florida, where they can spend their days lounging on a beach, playing golf, fishing, sightseeing – and doing anything else that doesn’t involve shoveling snow. 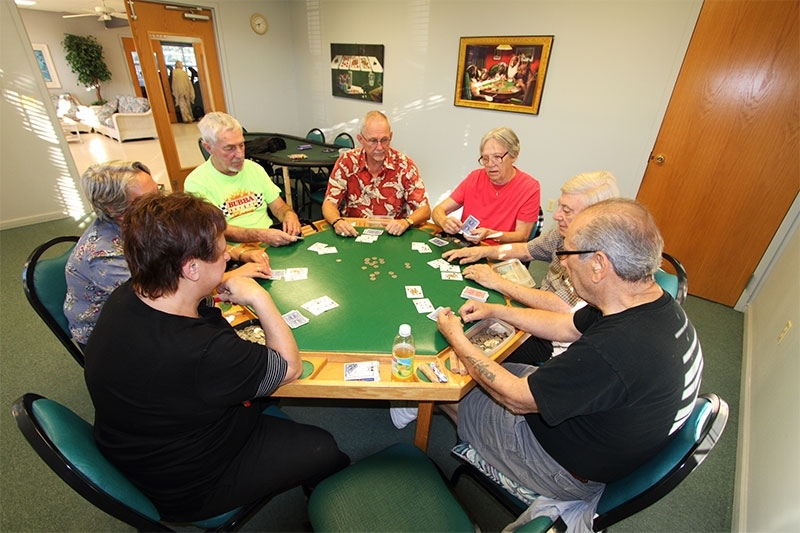 Although this is a common expectation, recent ups and downs in the economy have made it anything but a given for many older adults nearing retirement. 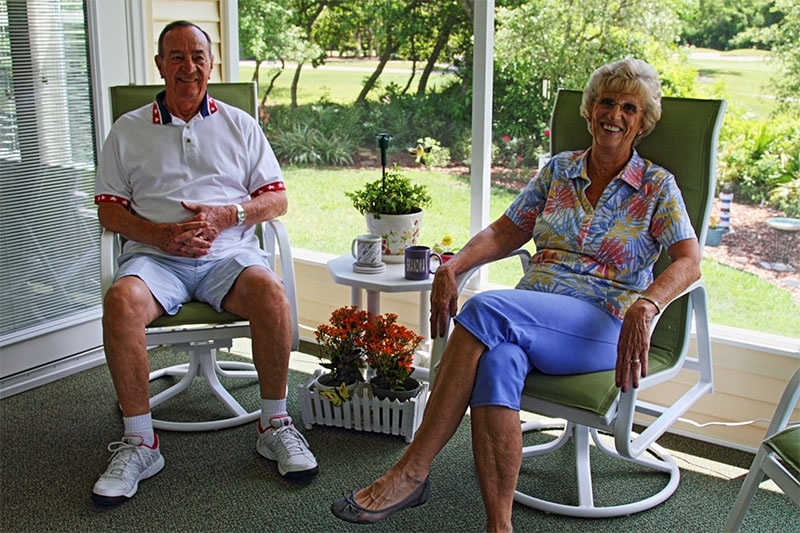 However, a number of smart Pennsylvania residents have discovered an affordable place to enjoy everything they’ve envisioned for their retirement: Bear Creek. 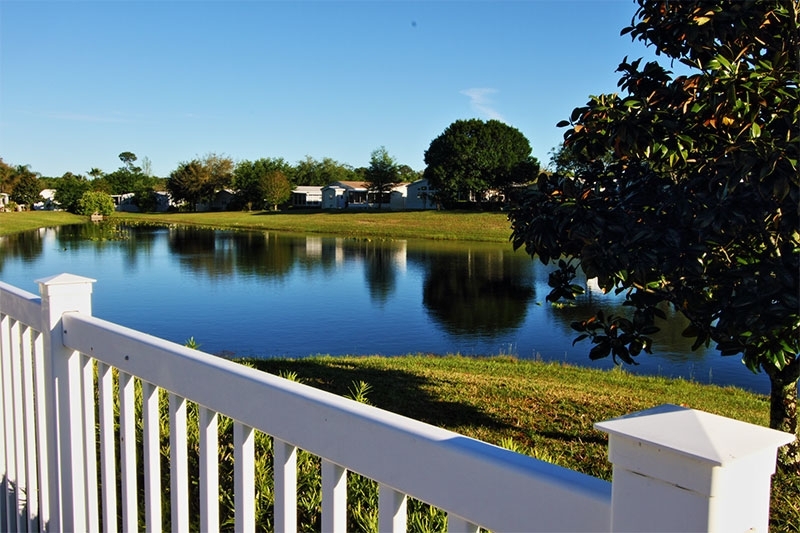 We’re a gated community for active adults 55 and older that offers top-quality manufactured homes for sale in one of the most idyllic locations on the East Coast. 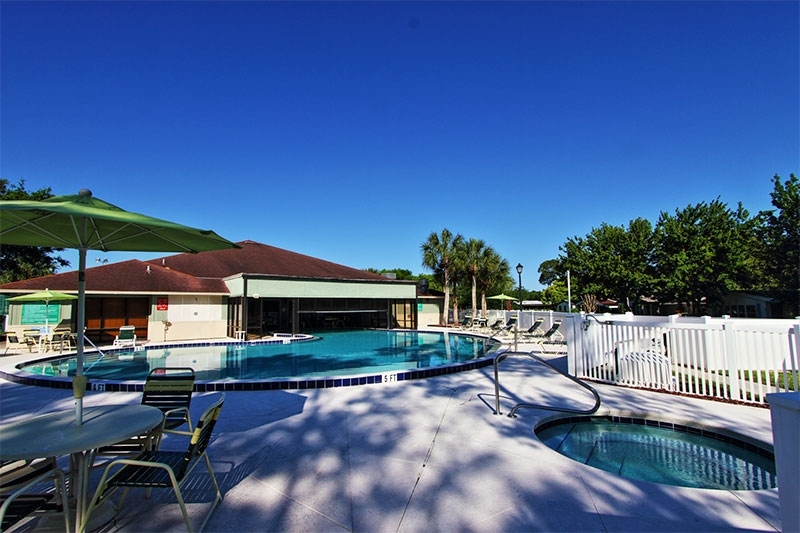 Indeed, our Ormond Beach, FL, community is minutes from the Atlantic Ocean and centrally located in relation to many of the Sunshine State’s best-known attractions. 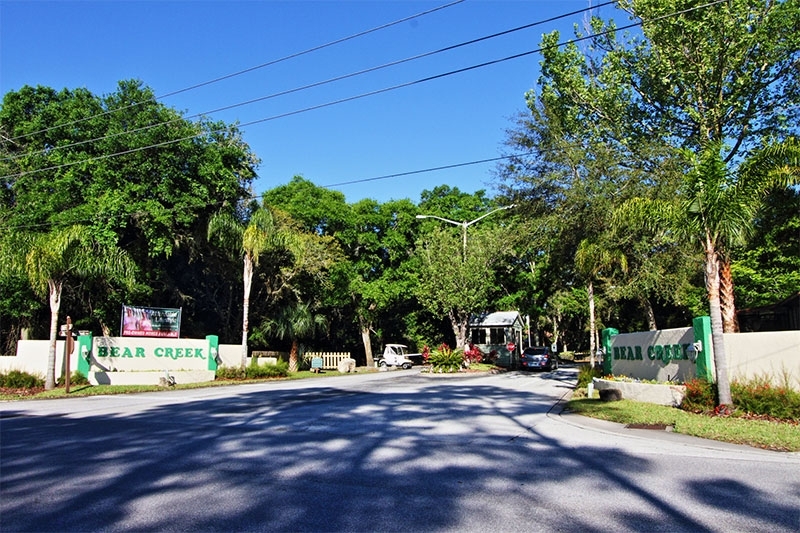 The manufactured-home community at Bear Creek is much like any well-tended neighborhood, with paved roads and attractive landscaping in the common areas. 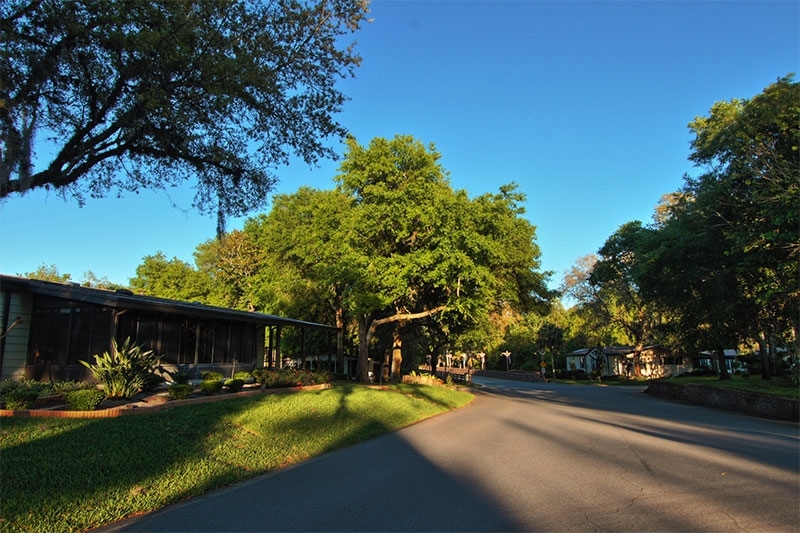 Each home has a garage or carport and driveway. 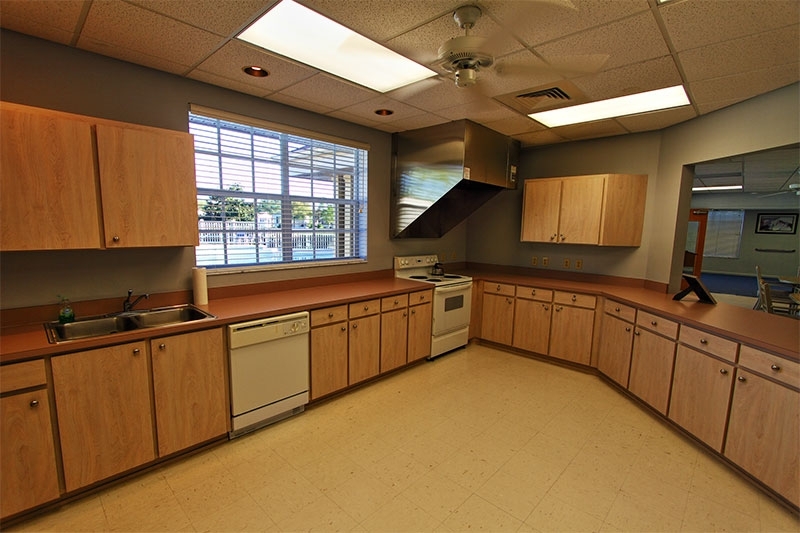 Many of our manufactured homes have luxury features similar to those found in site-built homes, including spa-like master bathrooms and island kitchens. 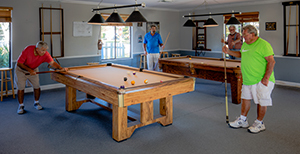 Access to all of these amenities and others can be yours when you purchase one of the beautiful manufactured homes for sale at Bear Creek and make low monthly home site lease payments. 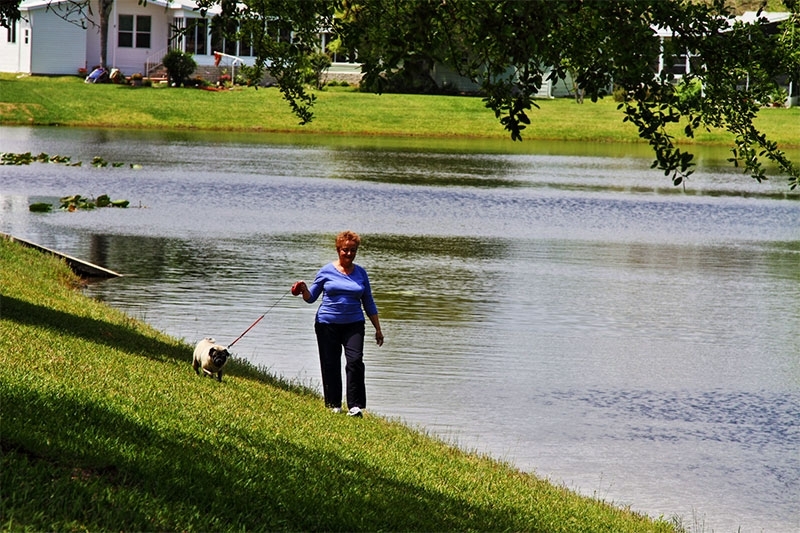 This recipe for retirement allows you to spend less on housing (because manufactured homes typically cost less than site-built houses) and devote more of your resources to pursuing the activities you enjoy. 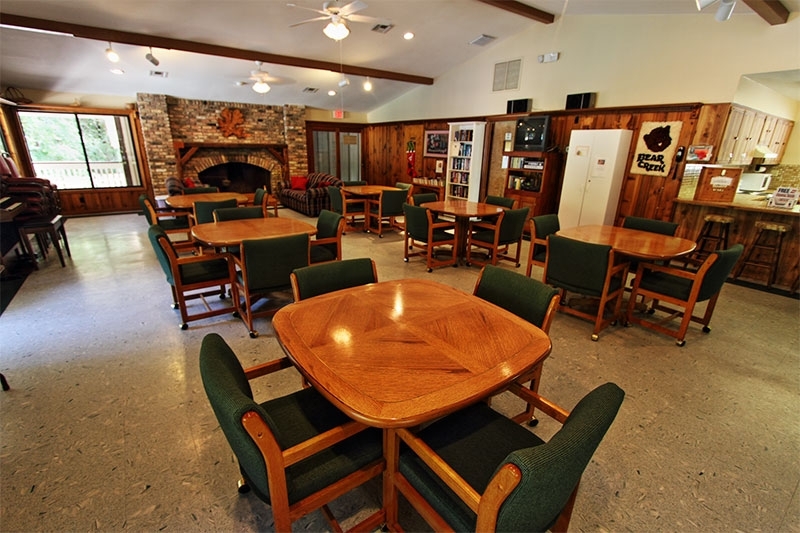 Contact us today to learn more about the manufactured homes we have for sale at Bear Creek and to schedule a community tour when you’re visiting this area from Pennsylvania. If you’re a New York resident whose heart is set on retiring in a Florida golf community with affordable homes for sale, don’t despair! 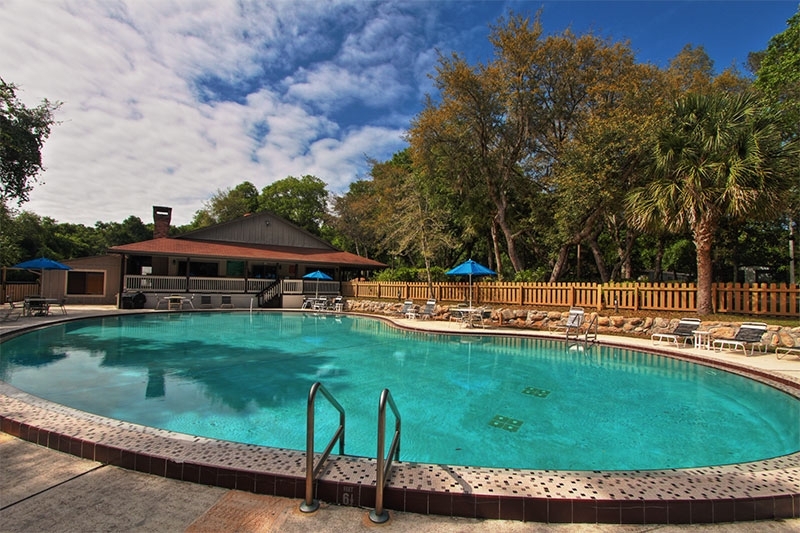 Even though housing prices are on the rise in the Sunshine State, there’s still a place where you can achieve your retirement dreams and enjoy an affordable active lifestyle: Bear Creek near Daytona Beach. 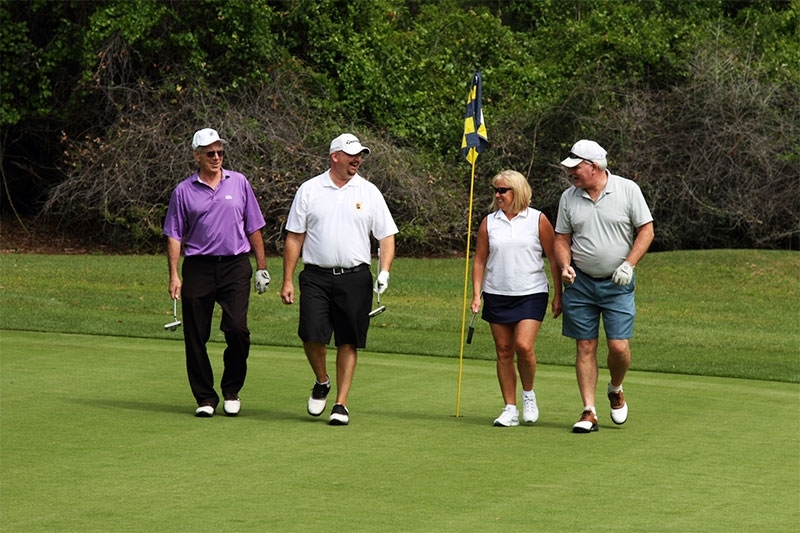 In fact, when you take advantage of this exceptional value in a golf community, you’ll be joining a large number of former New York residents who already call Bear Creek home. 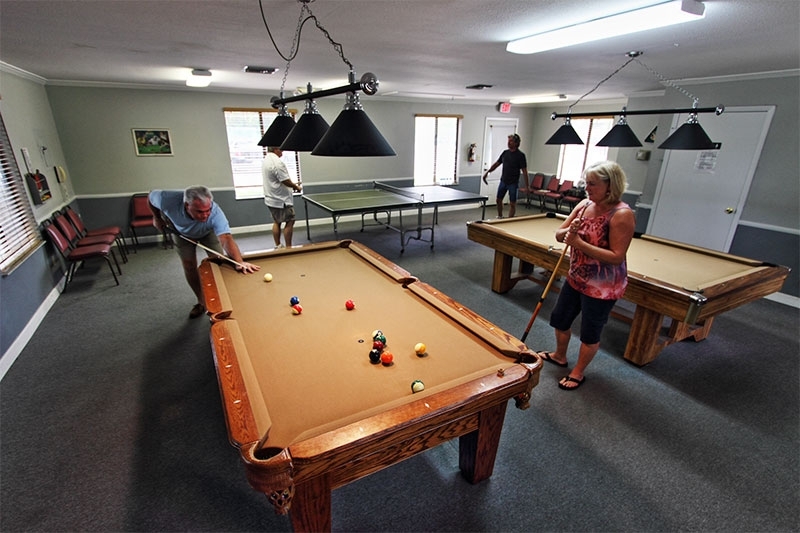 Bear Creek is a gated community of manufactured homes for active adults 55 and older that’s located next door to a golf course and country club. This means you can enjoy a few rounds of golf without any need to drive your car. 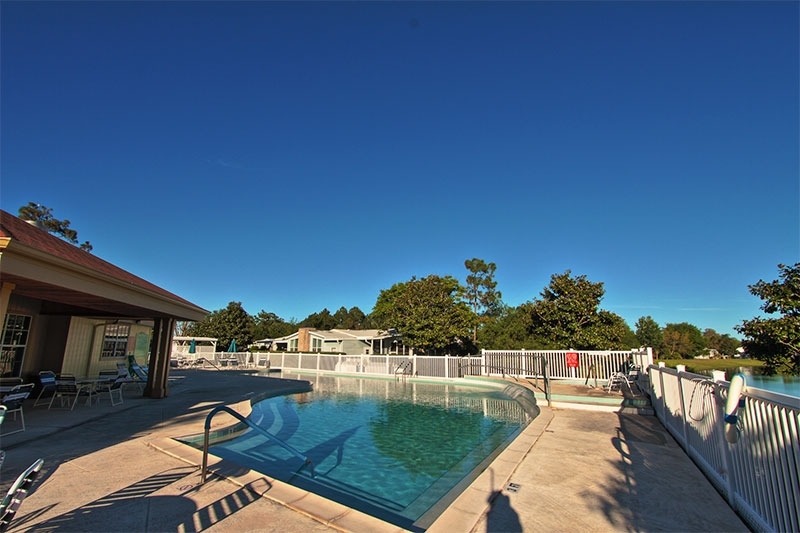 The manufactured homes we have for sale offer safe, comfortable accommodations, and many of them sport luxury features, such as spa-like bathrooms and vaulted ceilings. However, they typically cost significantly less than site-built homes in a similar retirement setting. 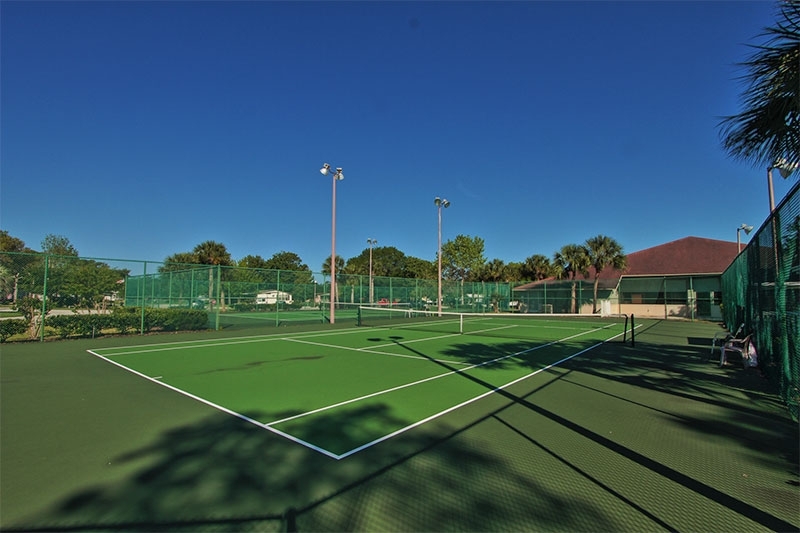 When you purchase one of the homes for sale in our golf community and make low monthly home site payments, you’ll receive access to all of those amenities, as well as lawn mowing services and professional on-site management. 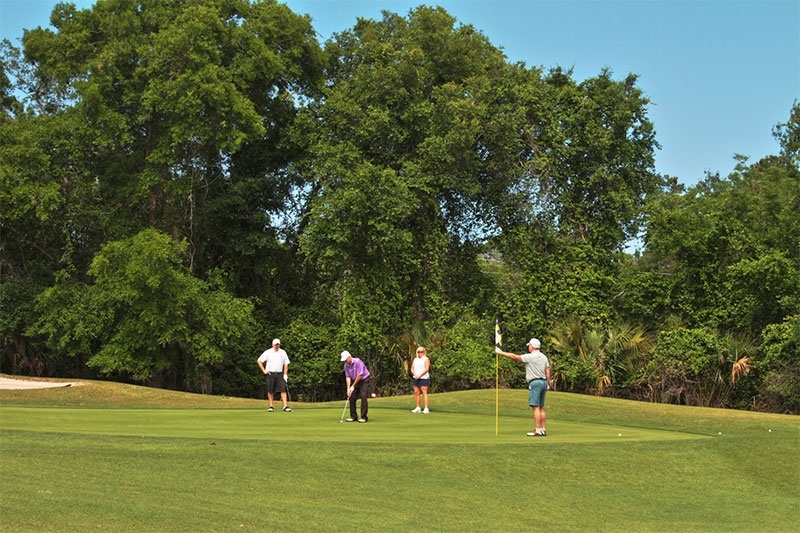 Because the Atlantic Ocean is only a few miles away, when you move to Bear Creek, you can easily spend your mornings on the golf course and your afternoons strolling along one of Florida’s world-renowned beaches. 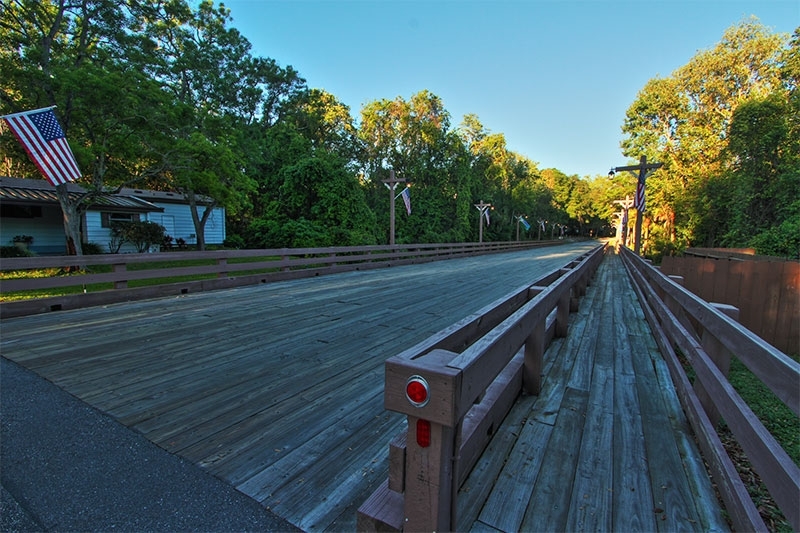 What’s more, some of the state’s internationally acclaimed theme parks and other tourist attractions are an easy drive away. 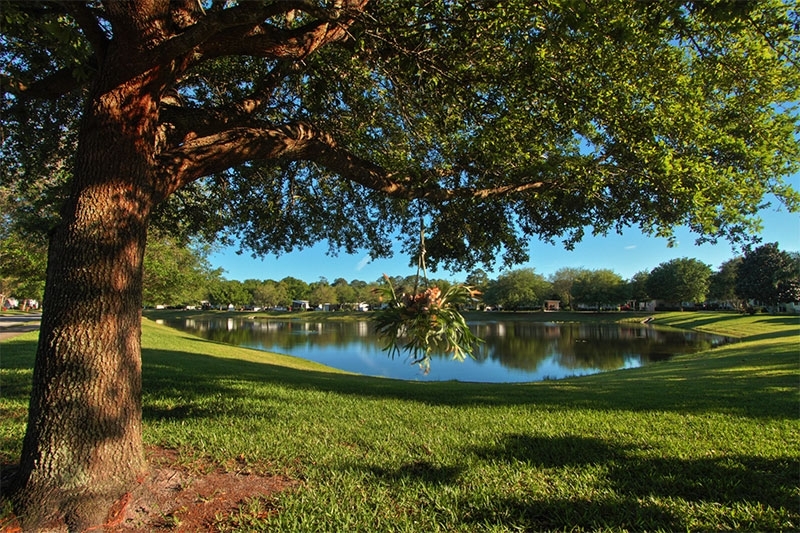 Contact our Lifestyle Team today to learn more about the homes for sale in our beautiful golf community. We’ll also be happy to schedule a community tour for you the next time you’re visiting from New York. 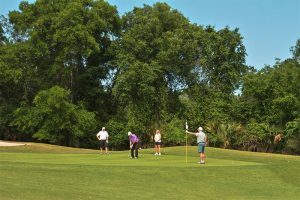 If you’re a golfer who’d like to get out on the greens early and often during your upcoming retirement, you may be worried about whether you can afford to live in one of the retirement communities that feature golf in the South Florida region. Don’t despair! 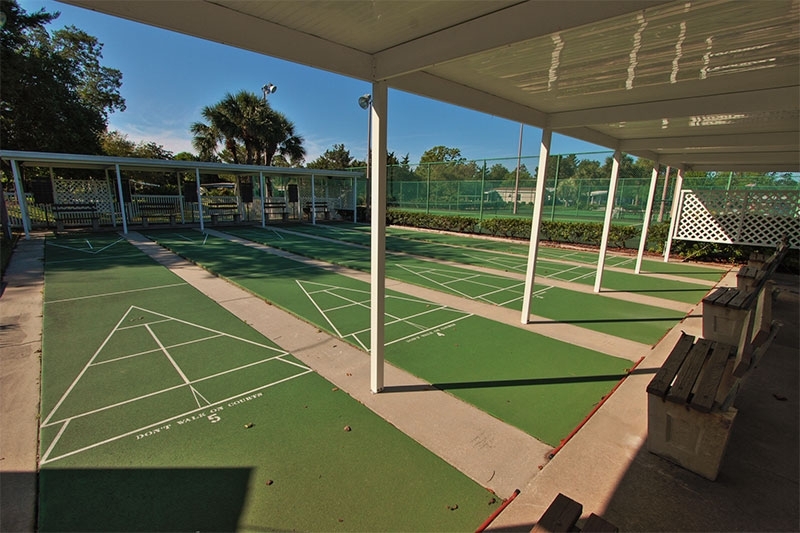 You can stay in the Sunshine State and enjoy one of the most affordable communities for active adults 55 and older that has a championship golf course next door. 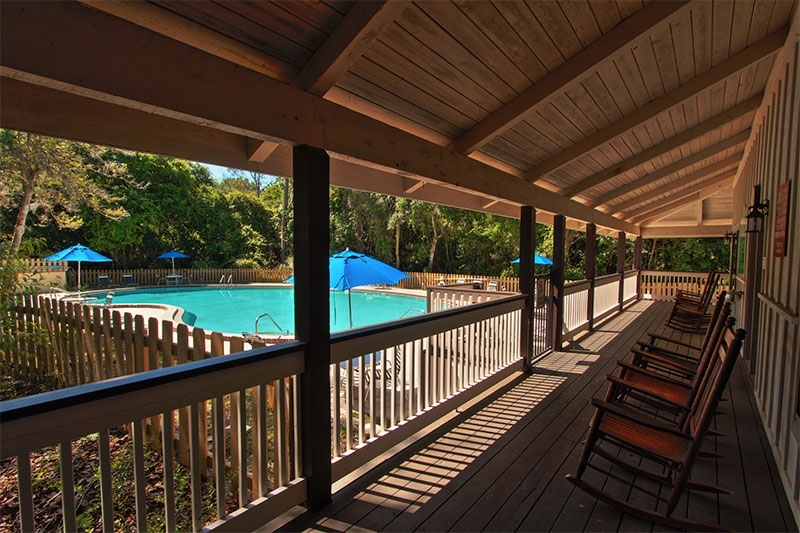 It’s Bear Creek, a gated community of high-quality manufactured homes in Ormond Beach, FL, where residents enjoy a wide array of recreational activities. 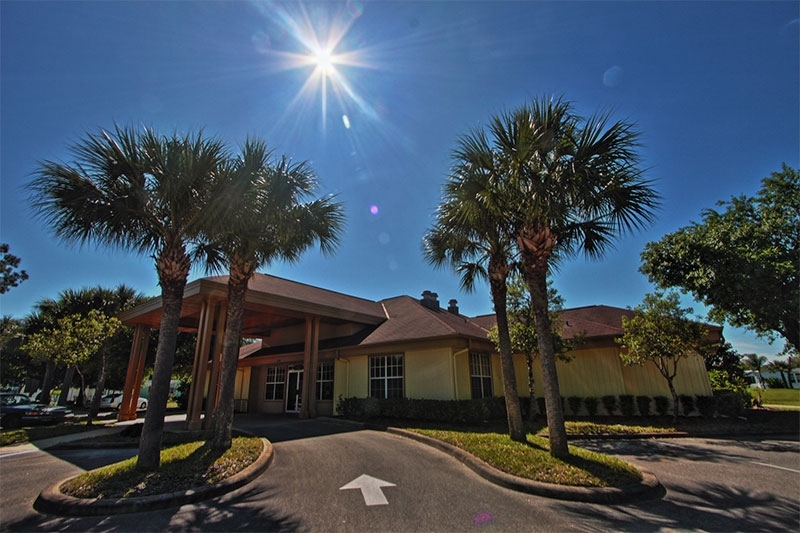 There’s not only an adjacent golf course and restaurant, which can be reached via golf cart, but also three community clubhouse complexes and pools. 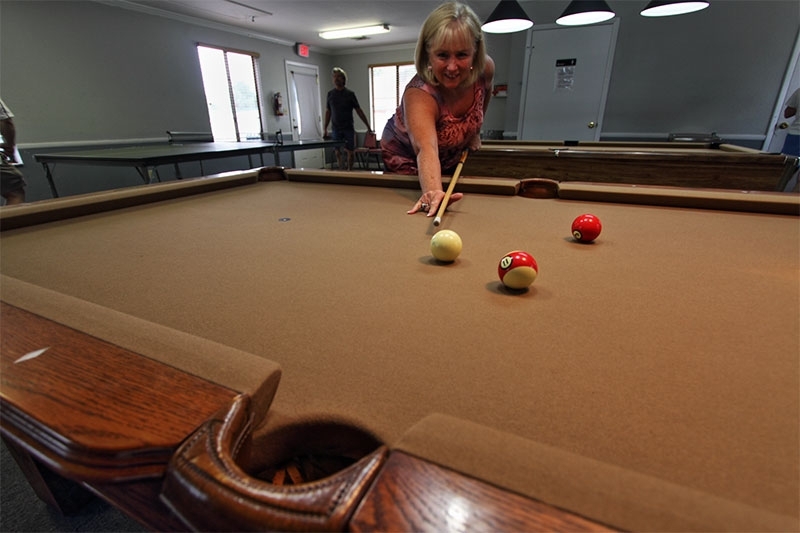 These amenities and the many clubs and social activities they accommodate ensure that Bear Creek residents never run out of things to do. 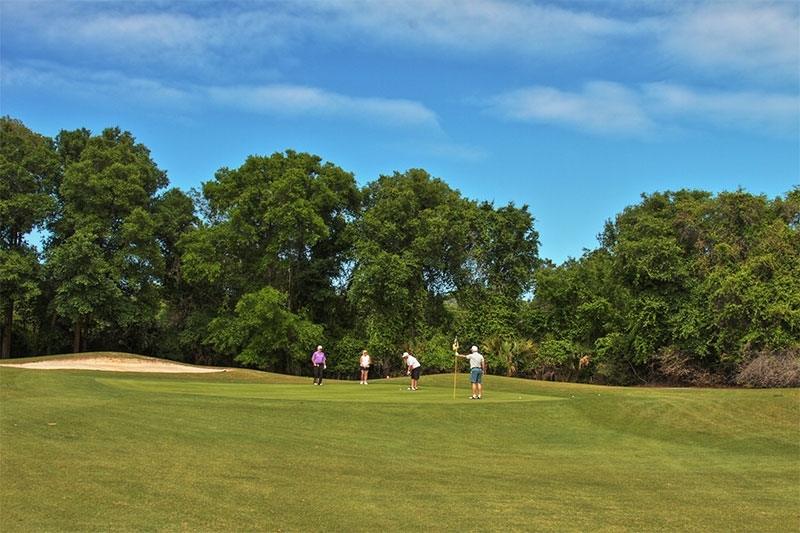 One of the features that make Bear Creek a true standout among golf communities, however, is its close proximity to beautiful beaches that stretch for miles along the Atlantic Ocean. 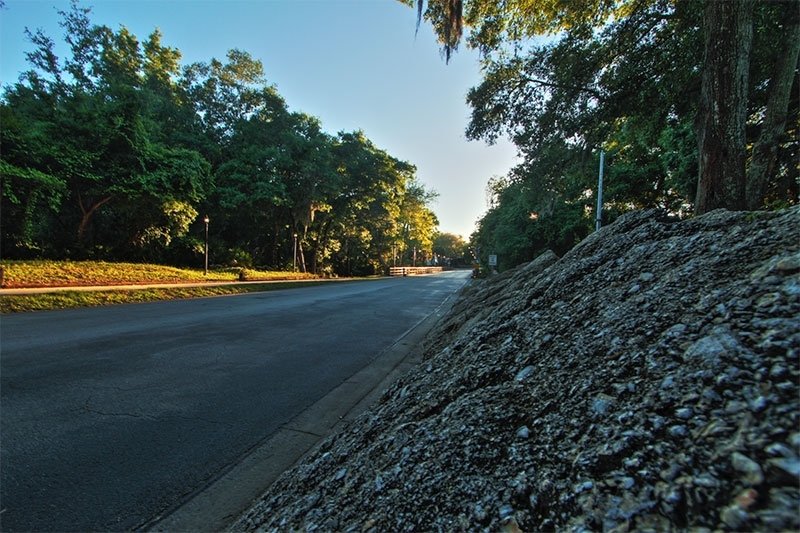 A five-minute drive will take you there, which means you can play a few rounds of golf in the morning and spend the rest of the day at the beach if you wish. 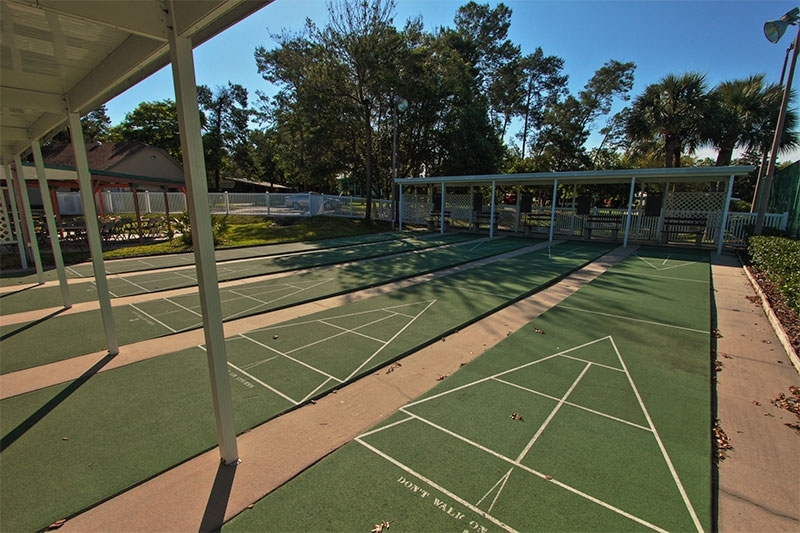 At Bear Creek, we make an enviable Florida lifestyle affordable for active older adults by providing attractive manufactured homes in a beautiful, landscaped neighborhood setting. 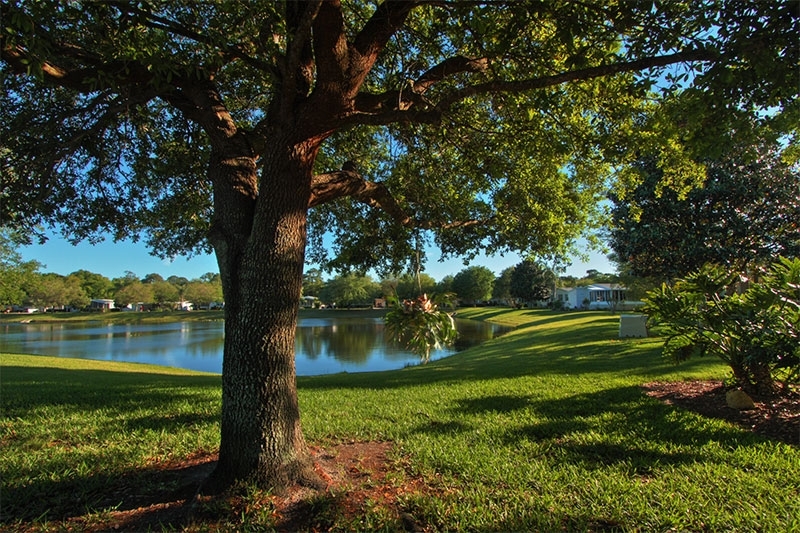 These homes typically cost far less than site-built homes in other Florida golf communities. This means you can afford to spend more of your financial resources on the retirement activities you’ve been dreaming of. 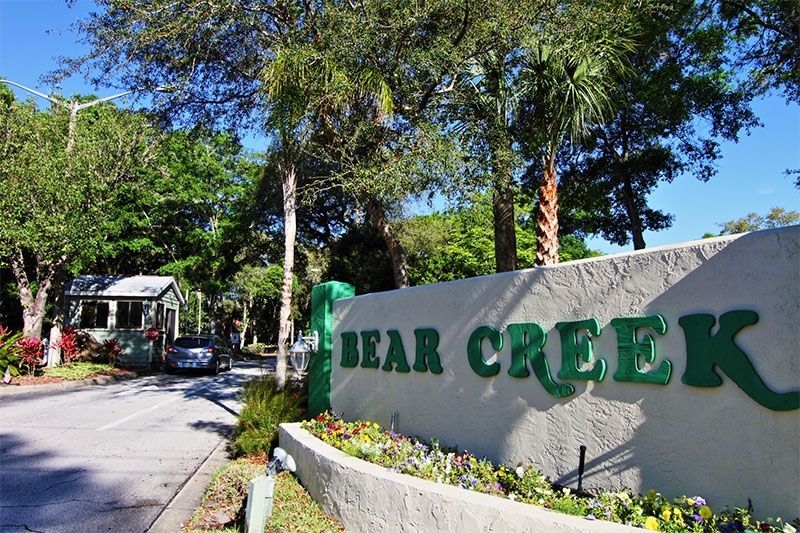 At Bear Creek, your low monthly home site lease payment will not only provide you with access to all the amenities on site but also lawn mowing and trash pickup services, so you’ll have more time to spend having fun. 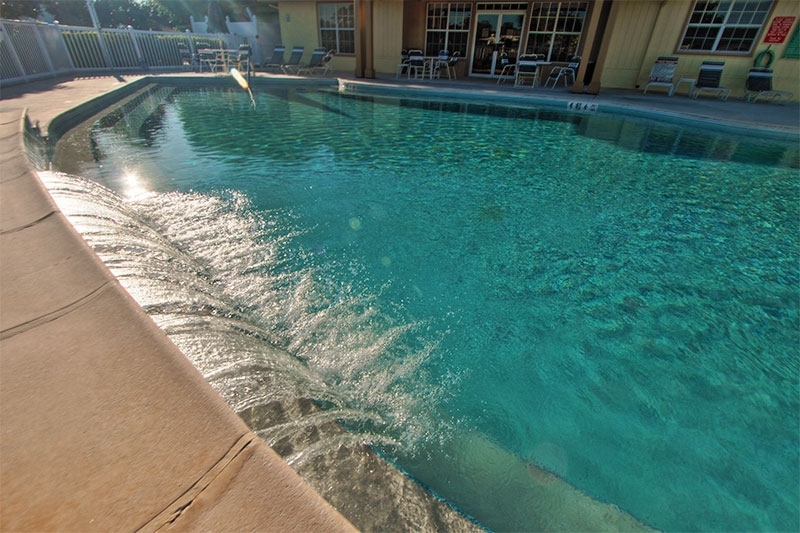 To learn more about Bear Creek, contact our Lifestyle Team today. 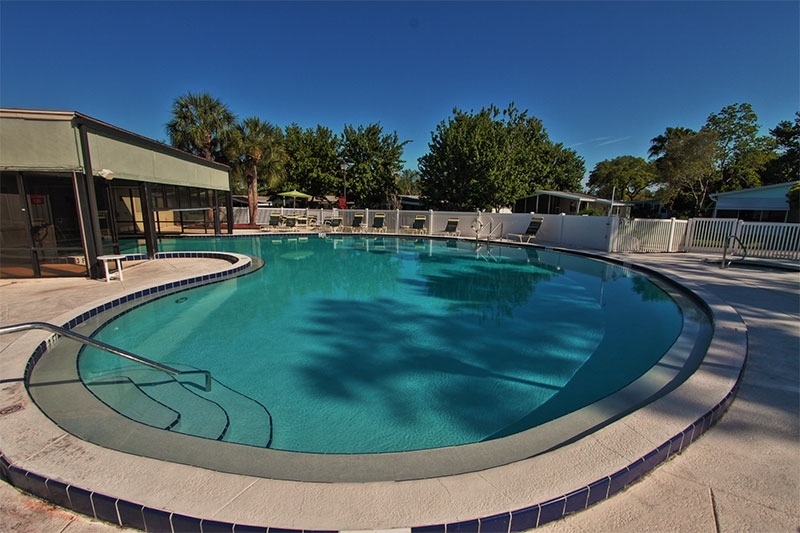 We’ll also be happy to schedule a tour of our community for you the next time you’re visiting from South Florida. Many Texas residents are used to living large – spending their time in the great outdoors, attending major sporting events, or exploring world-class theme parks that are open year-round. But some may worry whether their retirement savings will stretch far enough to cover a comfortable retirement in the Lone Star State. 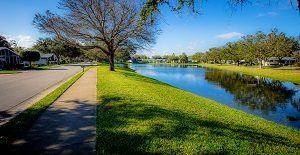 Indeed, many former Texas residents have relocated to Central Florida because of the relatively low housing costs and seemingly endless list of things to do without busting their retirement budgets. 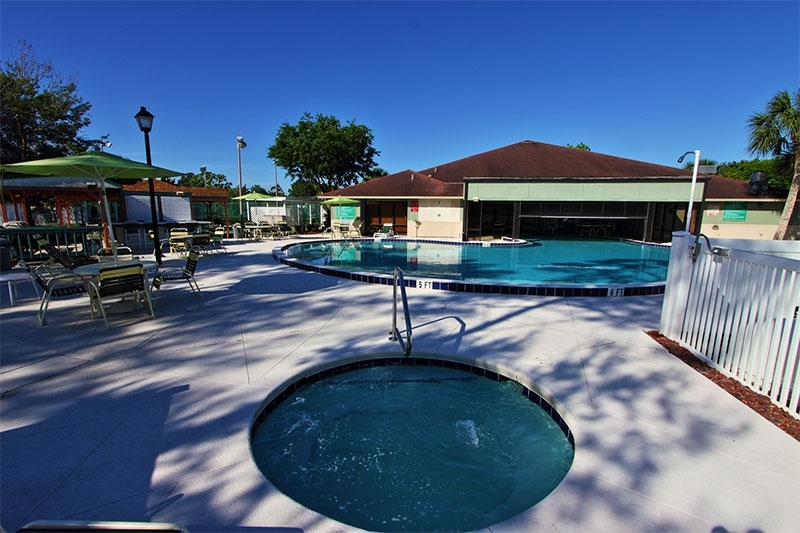 Those are two of the features that make Bear Creek, a 55+ community near Daytona Beach, FL, one of the great places to retire for people from Texas or anywhere in the world. 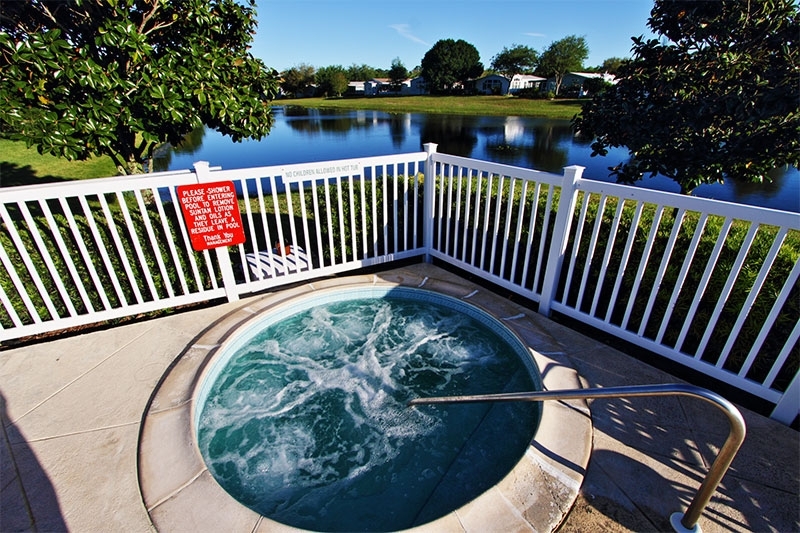 Our gated community of high-quality manufactured homes allows homebuyers to spend less on housing than they would in a development of site-built homes while enjoying the same type of resort-style amenities found in many upscale retirement communities. 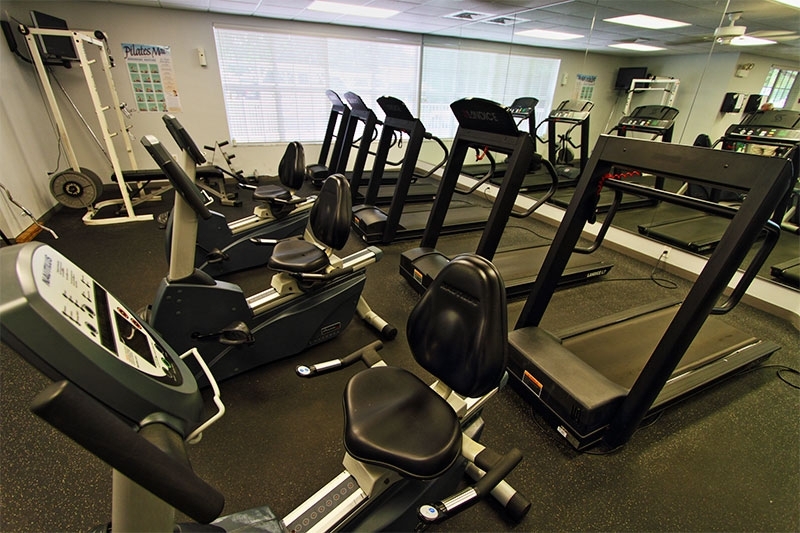 These include three clubhouses, three pools, a state-of-the-art exercise and aerobics center, lighted playing courts for several sports, and many more amenities that foster camaraderie and physical fitness. Plus, some of the world’s most famous theme parks and professional sports venues are just an hour or so away by car. 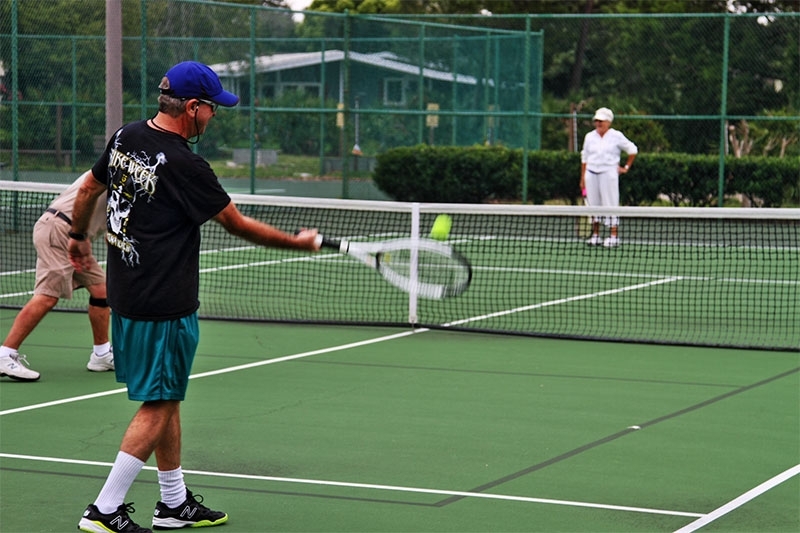 These are only a few of the reasons that Bear Creek is among the great places to retire if you’re looking for an affordable lifestyle without cutting corners on fun. Contact Bear Creek today to learn more and to schedule a tour of the community the next time you’re visiting from Texas.